The medical placement arm of ANC Education, ANC – Future Centre Medical Placements,the No.1 Medical Placement Centre in Sri Lanka, with more than a decade of experience have grown to transform the perception as the most trusted medical placement institute in Sri Lanka for international university placements and overseas education. Having the largest educational establishment that is accountable to a vast operation, In the year 2018, ANC Medical Placements was responsible in placing the highest number of students to leading medical universities in India, Malaysia, Russia, Belarus, Georgia and Australia. Guaranteed with secure student welfare throughout their medical career abroad. Manipal University is one of the leading academic health centres in Asia. Expanding its medical institutes to countries such as India, Malaysia and Nepal. Because of its excellence in education, patient care, and research, students travel from all over the region to take advantage of the many unique opportunities available. 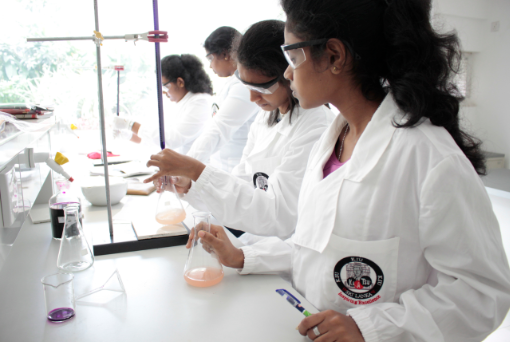 Manipal University is committed to providing a curriculum which offers diverse learning opportunities. Students develop a broad range of knowledge, skills and attitudes necessary to practice medicine. A well-planned, highly effective curriculum taught by dedicated faculty members places emphasis on the correlation between basic science and clinical science training. At Manipal University, the commitment to excellence is one that is inspired by life and tempered by ethical service to humanity. Being exposed in both these destinations in India and Malaysia will give the students a strong exposure to morbidity patterns related to the socio-economic status and cultural practices of another country as well as allowing them to have an effective communication, good rapport and a seamless merger into the environment when working with patients and staff from different ethnic backgrounds. 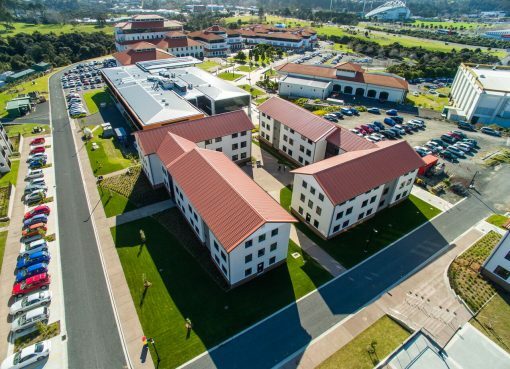 Furthermore, living on a multidisciplinary university campus as MMMC gives the student a unique cross-cultural experience and will build confidence and independence in them. MMMC is a campus with all amenities such as lecture theatres, tutorial rooms, laboratories and a fully-equipped library. Since MMMC is keen on technology it facilitates the teaching and learning process to be a techno-savvy environment for students. Therefore,MMMC ensures that the Information Technology System and facilities are up-to-date and accessible by the students and staff. Both Manipal and Melaka have male and female hostels accommodating air conditioned rooms with attached bathroom and single occupancy. The hostels are equipped with laundry services, library facilities, reading rooms, TV rooms and other amenities including water heater and internet connectivity. ManipalAcademy of Higher Education is a global village that attracts students from all over the world across continents. There are many students from all parts of the globe that are currently studying at the University. Thus, making MMMC a Multi-Cultural hub at the heart of Asia. Course Structure: The Melaka Manipal MBBS programme consists with two and a half years of preclinical studies such as Human Anatomy, Physiology, Biochemistry, Pharmacology, Pathology, Microbiology, Forensic Medicine and Clinical Skills in India whereas, the next two and a half years of clinical Training is done in Malaysia; introducing a twinning programme in a rapidly changing world Melaka Manipal Medical College is a hub for experiencing diversity in culture and providing quality medical education at the same time to students from around the world. Eligibility: In order for entry to MMMC it requires a minimum of three 3Bs for Sciencesubjects that is Biology with Physics and Chemistry. Proficiency in English is a must since the curriculum will be conducted in English medium. MMMC have two intakes per year that is April and October. MMMC is a renowned private medical institution with a trademark of academic excellence and an enviable track record in providing quality medical education. MMMC is committed to providing a curriculum which offers diverse learning opportunities. Students will gain ample knowledge and skills necessary to practice medicine. 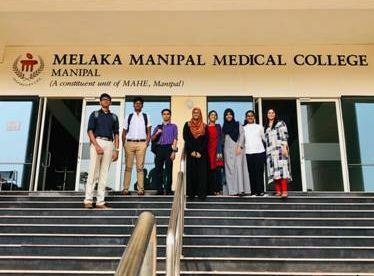 Recognition: The MBBS degree of Melaka Manipal Medical College is recognised by the Malaysian Medical Council (MMC), WHOandSri Lanka Medical Council (SLMC). Furthermore,Melaka-Manipal Medical College MBBS programme is listed in the World Directory of Medical Schools published by the AVICENNA Directory, the World Directory of Medical School and IMED (International Medical Education Directory, UK).MMMC is a leader in shaping not only the future of Medical Education but also in ways which they can make the most positive difference in the world. ANC Education No: 308-310, R. A. D Mel Mawatha, Colombo 03. ANC Future Center No: 30, Queens Road, Colombo 03. ANC Medical Placements No: 111 1/2, Maya Avenue, Colombo 06. ANC Branch Campus Kandy No: 322, Peradeniya Road, Kandy. ANC Future Center (Negombo) No: 440/1/1, Colombo Road, 2nd Kurana, Negombo. ANC Future Center (Kadawatha) No: 144/1E, Sumito Building, Kandy Road, Kadawatha. ANC Future Center (Wattala) No: 149, Colombo – Negombo Road, Wattala. ANC Future Center (Galle) No. 66, Colombo Road, Kaluwella, Galle. The #1 UK Foundation Programme in Sri Lanka at UCL ! How to Select A/L Subjects? 2018 Observer Education | VMag by AccessPress Themes.